The best way to protect your cat from ticks is to prevent ticks from being able to use your cat as a buffet. Talk to your vet about the many perscription and over the counter tick control medicines that are available to you. If your cat is an outdoor cat, this is especially important. But let’s say you have found a tick on your cat, how exactly do you go about removing a tick from your cat? Vets agree that it is important to get the tick off ASAP, but there are certain procedures you should follow to protect yourself and your cat. Removing a tick too quickly could lead to further complications, for both you and your cat. Here’s how to go about removing a tick from your cat. 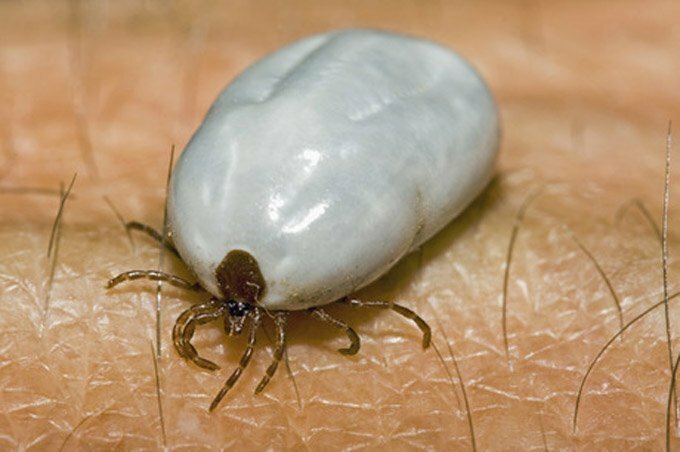 Ticks can have different appearances depending on how long they have been on your cat. Ticks love to burrow under your cat’s armpits, between their ears, between their toes, and other snuggly warm places. If the tick has been on your cat for a couple of hours to a couple of days it may have a flat appearance. Ticks that have been on for longer (and therefore have had longer to feed off of your cat’s blood) may appear rotund and full. It may seem like a good idea to toss a removed tick in the garbage or down the toilet, but these arachnids are resilient little buggers and they will get back out and back onto your cat. 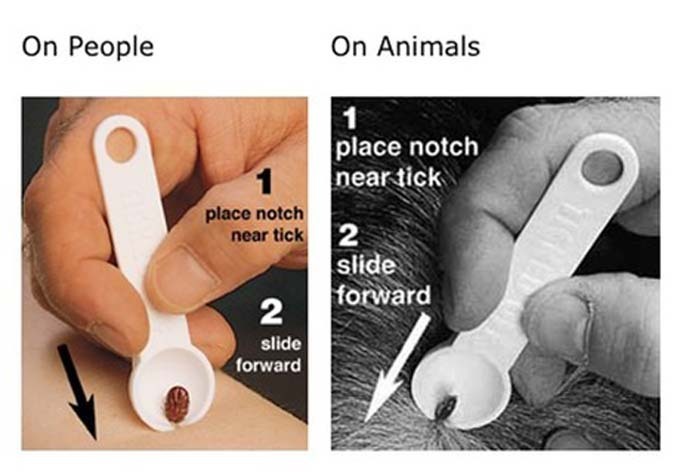 Also, it may be a good idea to hold onto the tick for testing if your cat ends up showing any signs of illness. ASPCA suggests a small screw-top jar containing some rubbing alcohol is the best storage for a tick you have removed. You may want to lay your cat on a towel for added safety. Ticks are dangerous, not only to your pet, but to you too. Ticks carry a myriad of diseases such as Lyme Disease that can be transmitted to humans through breaks in your skin or even through your mucus membranes, like if you were to touch your eyes or nose after handling a tick. Wear protective gloves both while inspecting the infected area and removing the tick. There are several key components to successfully removing a tick from your cat. Ticks burrow their heads under the skin to feed. Do NOT twist or squeeze the tick as you remove it, as this may cause the mouthpart of the tick to stay nestled in your cats skin. It could also cause the tick to burst and spill its bodily fluids on you and your cat, which may contain disease-carrying organisms. Tweezers or tick removers are your best bet when removing a tick from your cat. Talk to your vet, he or she may have a tick remover for you. Using gloved hands could be tricky and lead to busting open the tick, causing its bodily fluids to spill on your cat. 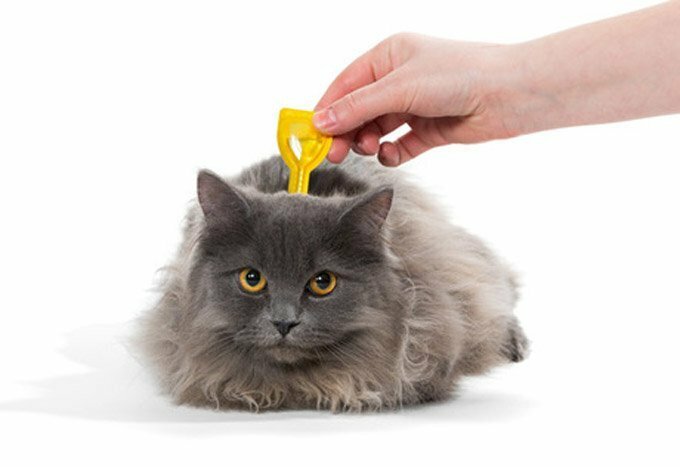 Place the tweezers or tool as close to your cat’s body as you can to insure that you get every part of the tick off. You want to grab that little sucker right at the head where it’s touching your cat. Sometimes, despite doing everything right, some of a tick’s mouthparts can stay stuck in your cat’s skin. If the area does not appear inflamed or red, the best thing to do is to disinfect the area and carefully monitor it. A warm compress may help the tiny pieces come out, but trying to dig at them with tweezers will only aggravate the area more. Once you have disposed of the tick in a screw cap jar with alcohol, be sure to disinfect the skin area on your cat and wash your hand thoroughly. Disinfect the tweezers or tick-removing tool with rubbing alcohol or hot, soapy water. Dispose of your gloves and wash any towels your cat may have been laying on while you removed the tick. Over the next couple of weeks, be sure to keep a sharp eye on the bite area for any signs of irritation or infection. If the area was already inflamed when you were removing the tick, be sure to bring your kitty to the vet ASAP along with tick for evaluation. 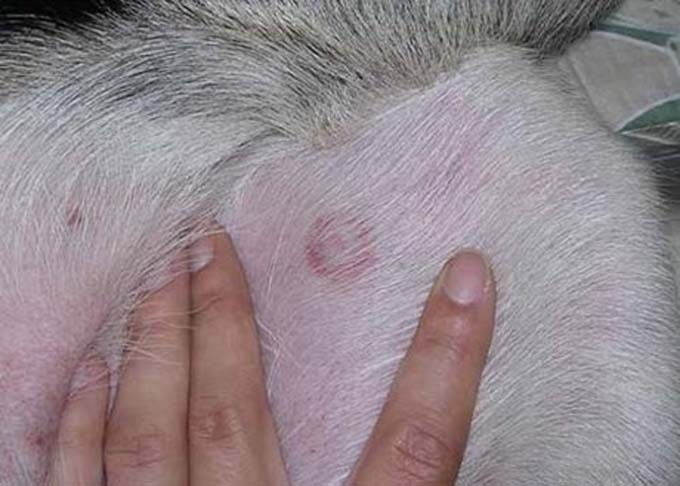 You want to keep an eye out for those classic bullseye red rings that are indicative of Lyme Disease.